Topology discovery, the process of discovering and mapping network devices and links, is vital for a network’s efficiency. With the advent of Virtual Infrastructure and mobile computing, current networks often alter dynamically, and automatic topology discovery is essential for monitoring network state, to identify bottlenecks and failures, and to ensure optimum network efficiency. WhatsUp Gold is a topology discovery tool that scans networks in minutes, and generates granular, real-time topology maps at both Layer 2 and Layer 3 levels. 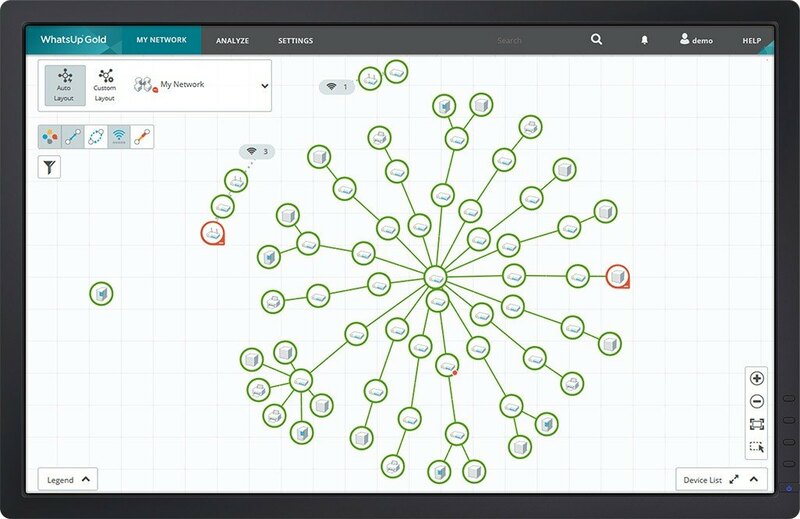 With methods including SNMP Discovery, IP Address Scan, host file import at Layer 3; and ARP cache discovery and Ping sweep techniques at Layer 2; the network device discovery tool WhatsUp Gold offers administrators a quick, efficient solution that discovers, maps, documents and troubleshoots networks.